Native Instruments takes the original maschine controller, sticks it in a boxing ring with the Traktor Kontrol F1 and watches as they pulverise each other into a multicoloured lovechild that is Maschine Mk2! 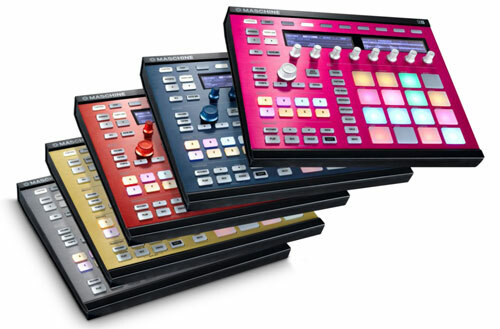 Native Insturments Maschine Mk2 comes in Original and Mikro varieties and not only do you now have multicoloured pads, there is also the option of a white unit. 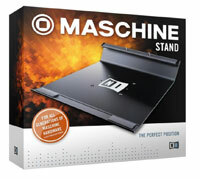 There’s also the long awaited V1.8 software which finally adds timestretch functionality inside the maschine software. In fact, it seems to inherit Kontakt’s valve and tape saturators and Transient Master effects too. Probably driven by the amount of services offering Maschine Skins, NI have also announced a selection of changeable deck plates, for all you fashion conscious beat connoisseurs, as well as a dedicated Maschine Stand to get it out of the DJ booth beer lake that sometimes develops. Native Instruments Maschine MK2 will be available from Scan on 1st October for £469.00 and the Native Instruments Mikro will be £269.00. Wampler Pinnacle Distortion Pedals. "Brown Sound" Anyone?